A blocked flue is when dirt, debris, creosote, or other materials are causing a 100% restriction of exhaust gases from a flue. This then means that the gases would be coming back into the home which can lead to life threatening situations. Often these happen in the winter when the customer is using their furnace or stove and it must be fixed as soon as possible. This is where we come in and remove the blockage thus restoring the heat to the home. 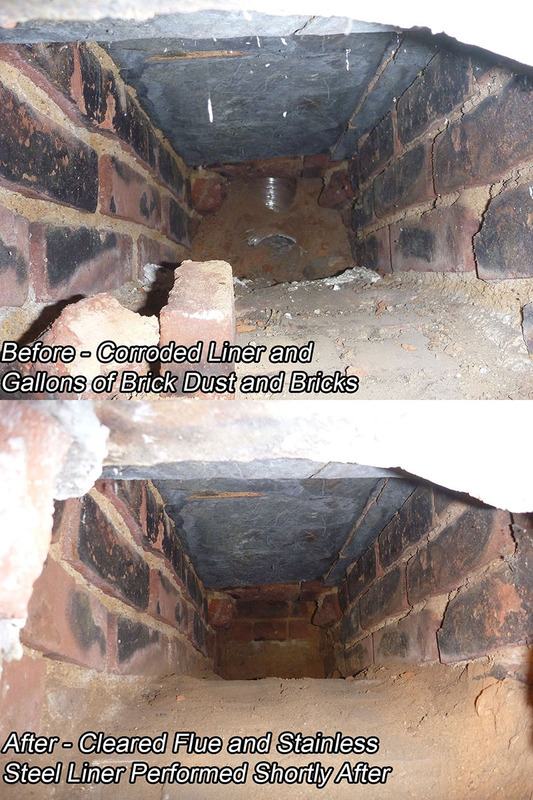 At Clean Sweep we have over 35 years of blockage experience and in that time we have seen just about everything there is to see when it comes to blocked chimneys. 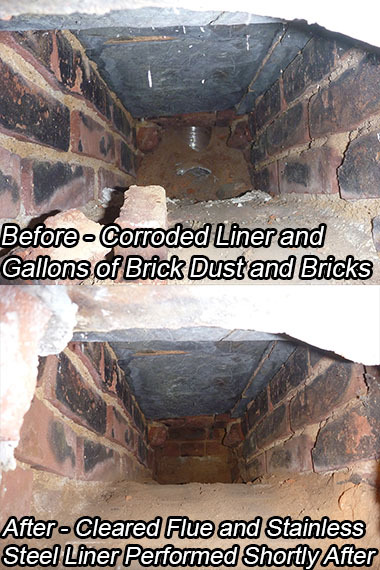 Everything from a 10-12 brick blocked gas flue, to an oil flue packed with 15 gallons of oil dirt, dead birds, and nests to 100% creosote blocked wood burning flues--we can handle it all. It isn't a necessarily fun job but someone has to do it and we will take the jobs that other companies either can not do nor want to do. With the right technique and equipment we have the ability to clear any blockage. If you are having an emergency blockage please do not hesitate to call us immediately. Our standard blockage rates are $249+tax which covers up to 2 hours, with each hour beyond 2 pro-rated at $149+tax/hour at 15 minute increments. Visit our contact page to get in touch and we will attempt to come out as soon as possible.